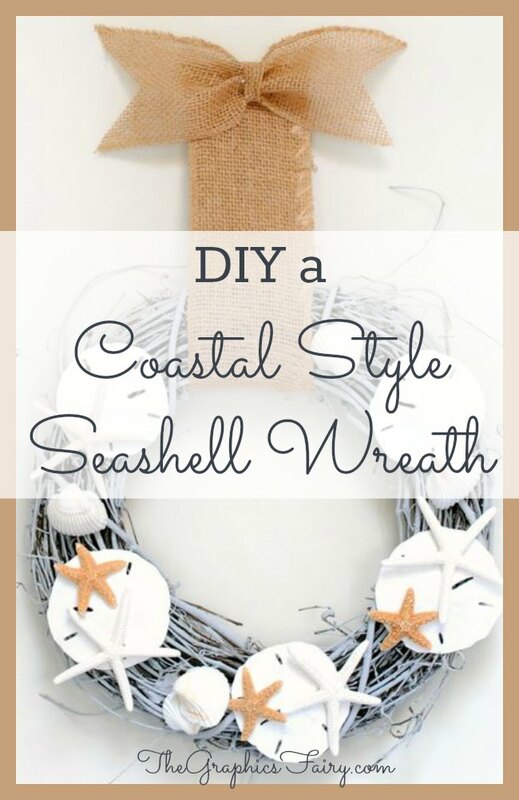 Today I’m sharing a DIY Tutorial for a Seashell Wreath that I made, perfect for adding a little Coastal decor to your home during the Summer months! 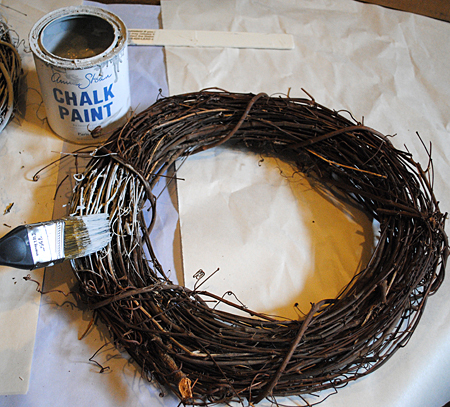 Step 1) Paint a Grapevine wreath with Gray Paint. 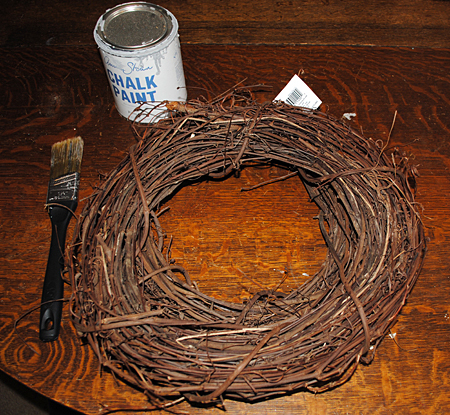 You could spray paint it, but I love the look and feel of Annie Sloan Chalk Paint, I think it lends itself well to the natural material in the wreath.I just brushed it on with the paintbrush, it doesn’t have to be perfect! 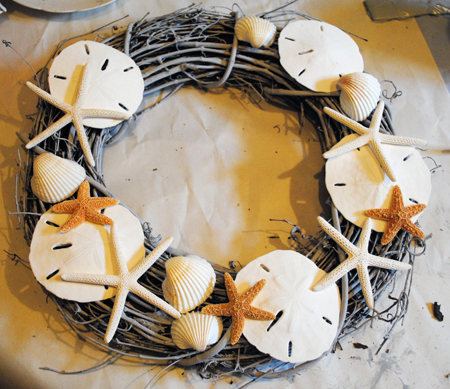 Step 2) Once the paint is dry, lay out your shells, until you like how they look on the wreath. I used Shells, Starfish and Sand dollars for mine, you can use whatever you like, or whatever you find on your Seaside holiday! 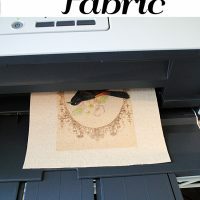 Make sure you leave some space at the top, for the burlap ribbon. 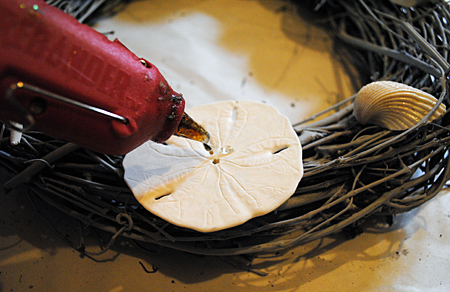 Step 3) Keeping your shell configuration in tact, as much as possible, begin flipping the shells over and hot gluing them back onto the wreath. 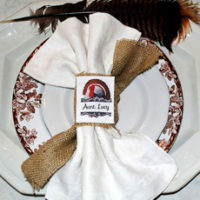 And lastly add the Burlap ribbon to hang from. (I’m not very good at bow making, so I made a cheater bow, mine is 2 parts, glued together.) 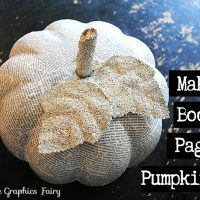 If you don’t have burlap ribbon, you could also just cut up strips of burlap and tie them. I made 2 of these and hung them in my Living Room, as part of my Summer Decor. If you would like to see the Summer Tour of my home, go HERE. I hope you enjoyed this project, these wreaths were so fun and easy to make! Oh my gosh!!! I love these and it looks fairly easy! Thanks! as a florist, I feel my duty is to let you know that glue gun glue won’t stick very long when glued to porous sea shells. It takes a little longer, but the best way to do it is to take a wire (18-20 gauge) and make a few bends in it or a circle (so there is more to grip to the shell) and glue the wire on to the shell with either E6000 glue or Goop glue and let sit for an hour or so. Then take the other end of the wire, dip in your Goop or E6000 and hide the wire in the grapevines. Then just let the wreath sit for another hour before you hang it. More time spent, but nothing will fall off now! That’s what I thought. Good advice. Very pretty wreath! I love it Karen! 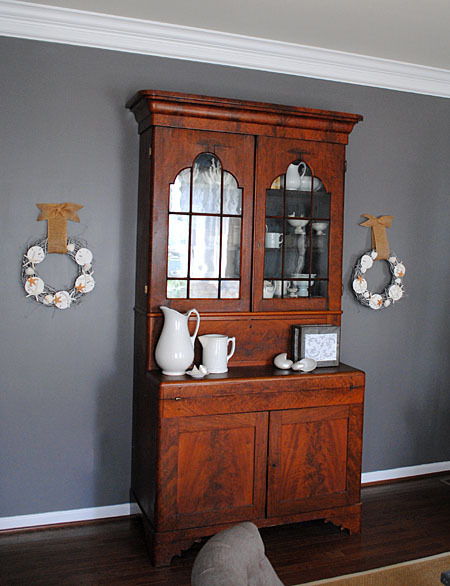 Genius to use chalk paint on that wreath. I would nab it from your wall if you lived near me.